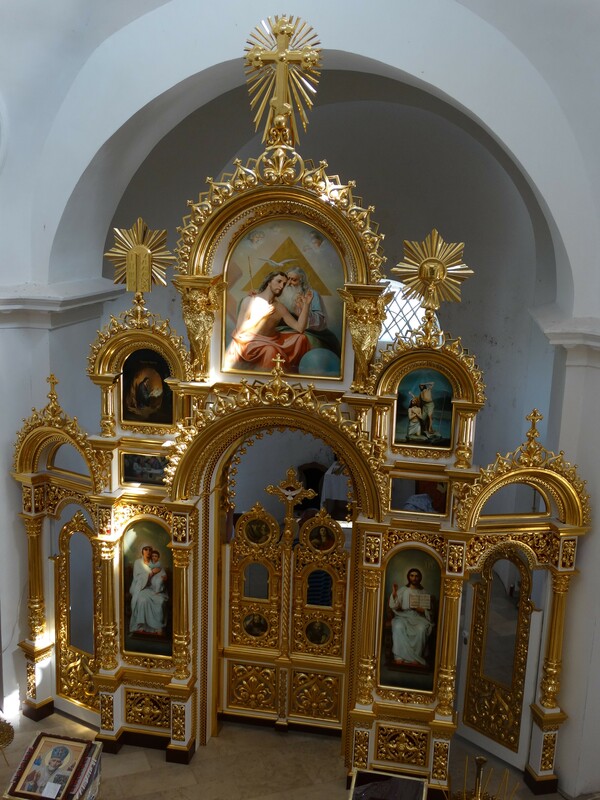 Orthodox churches from ancient times are burning lamps living faith of Holy Russia, the core and the concentration of prayer the strength of our people, important spiritual and cultural centers of our Fatherland. 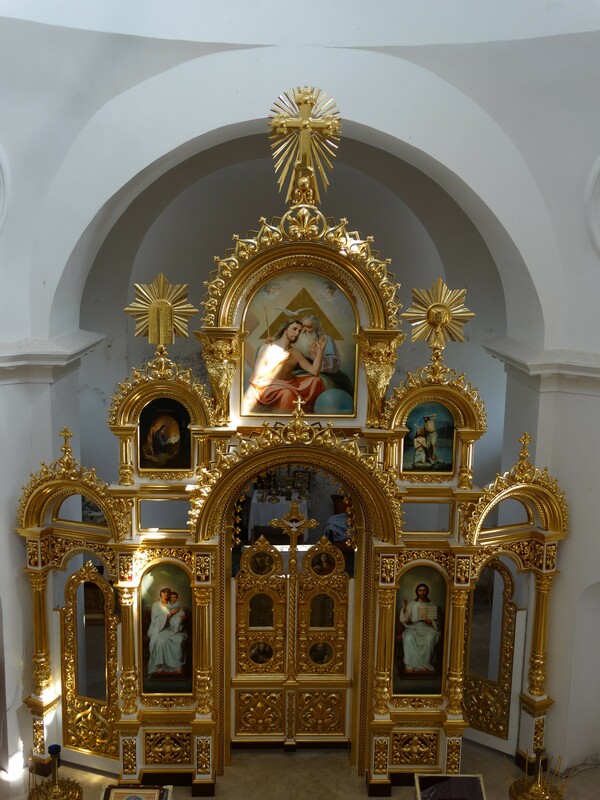 Largely due to the presence in our lives Christian churches have been and continue to be committed fertile spiritual changes in the life of every Orthodox Christian and the whole Ukrainian society. 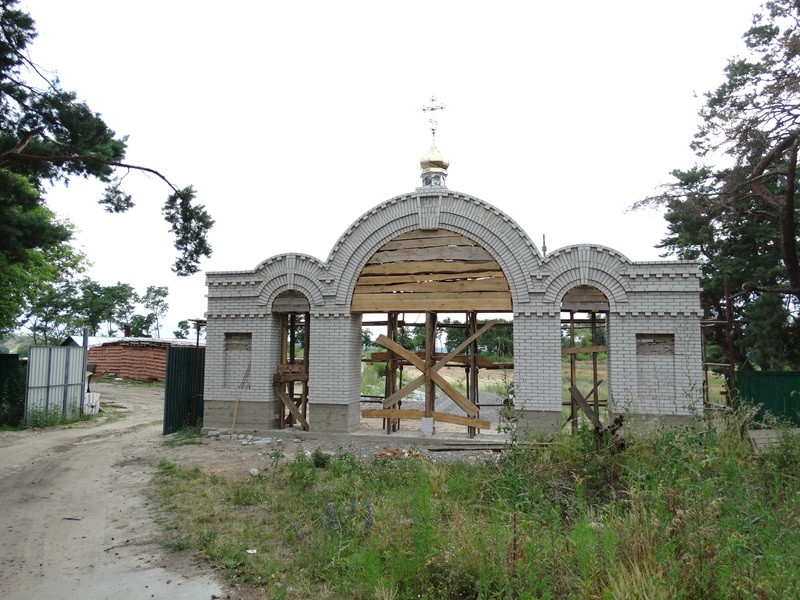 Revival torn down and abandoned shrines — the phenomenon of the real resurrection of Ukraine, a genuine process of spiritualization of our hearts, the transformation of human souls. Hot, devoted love loves our people their churches, where Christians gathered together, and offered to God fervent prayers, to acquire the grace and power of God spiritualized. 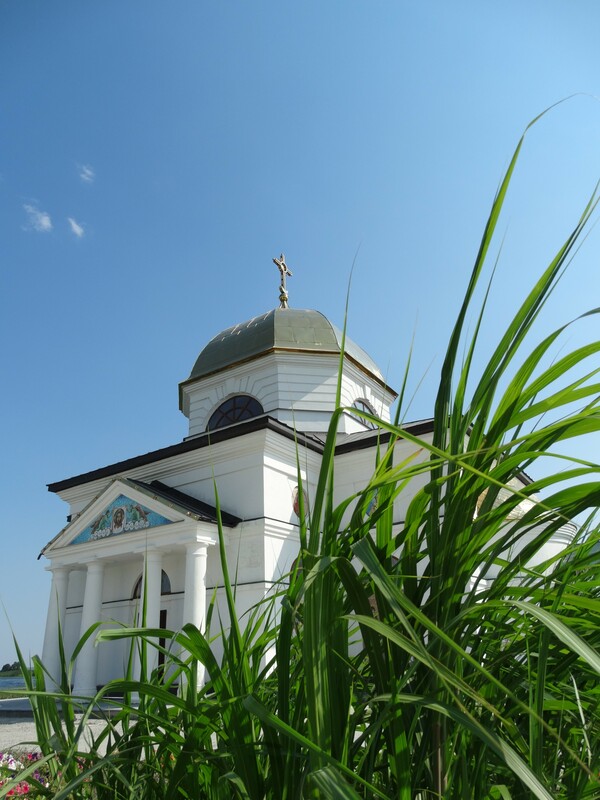 In the last few years we have witnessed the continuing revival of the ancient village of Transfiguration Church Gusintsy, disappeared under the water in the 70s of the last century during the construction of the Kanev Reservoir. 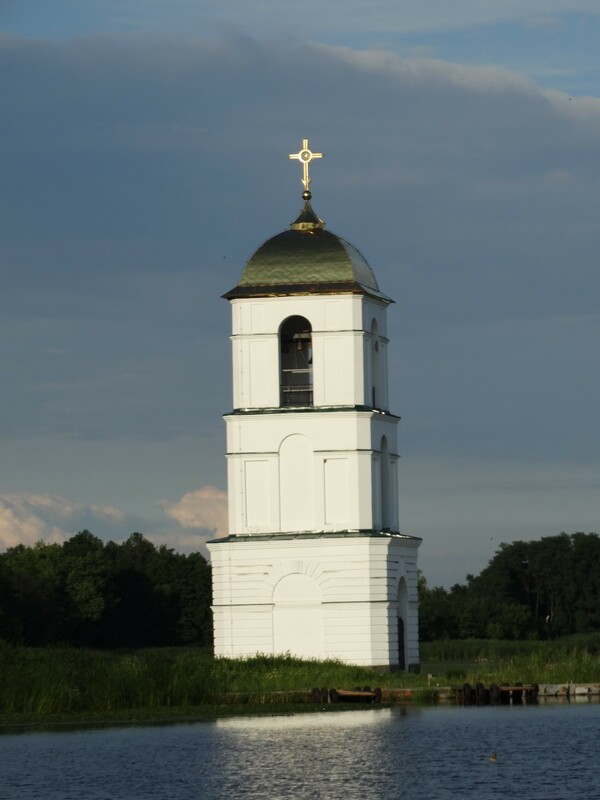 According to archival materials, Transfiguration Church was built in 1822 in the village Gusintsy Perejaslavskogo County, Poltava province at the expense of the local Pan Gusinsky. 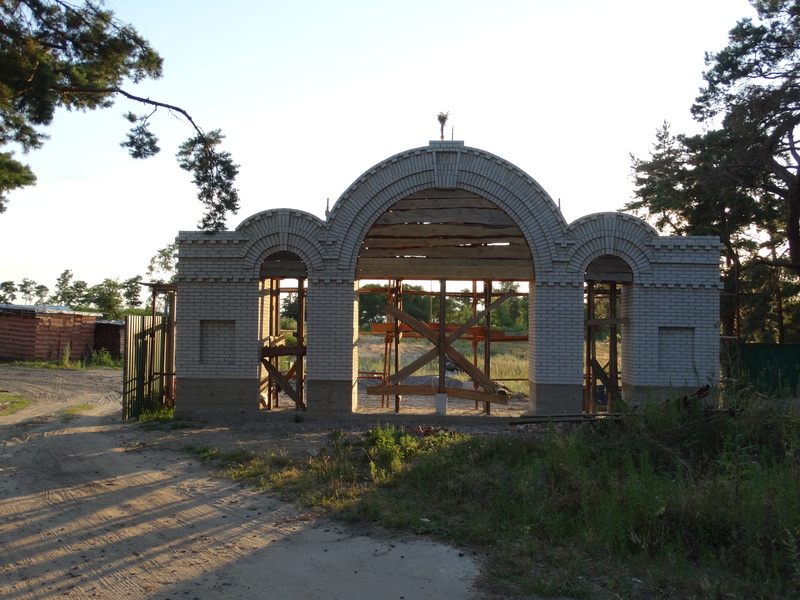 The temple was built by the peasants themselves made of bricks made at the local brick factory. 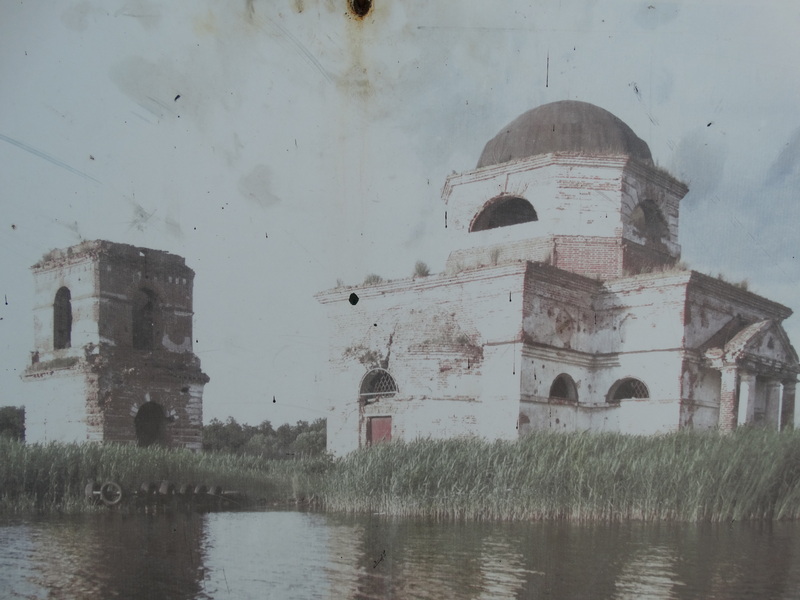 Due to high quality building materials, the builders themselves conscientious attitude to business and fervent prayer of the people, the remains of the temple have survived to the present day, despite the fact that almost 40 years the temple stood in the water. In the right limit of the temple there is a crypt gentry families. 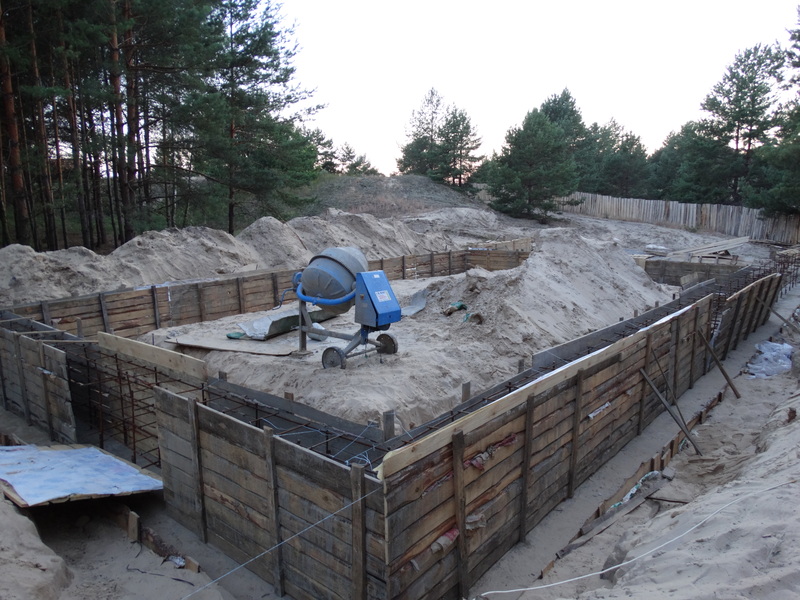 It had been buried pan Gusinsky and his son. 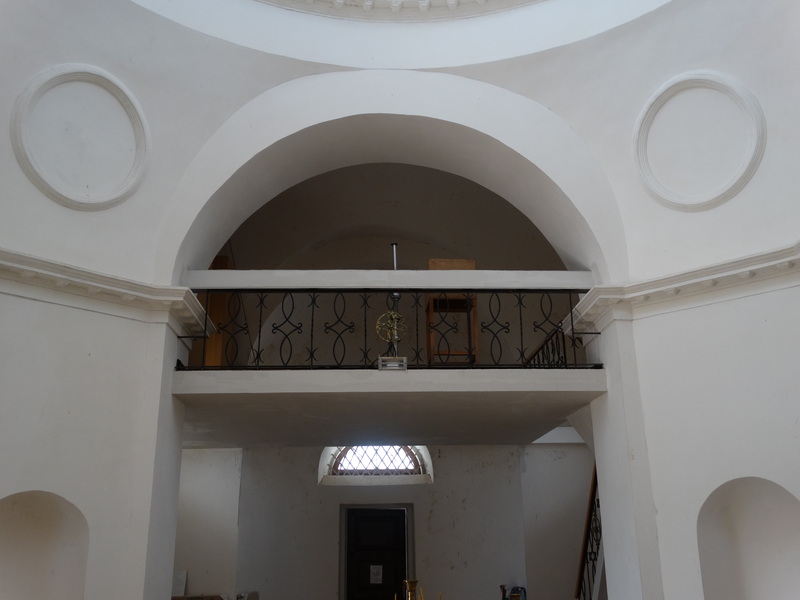 When the temple existed parochial school, the house was built for the priest. 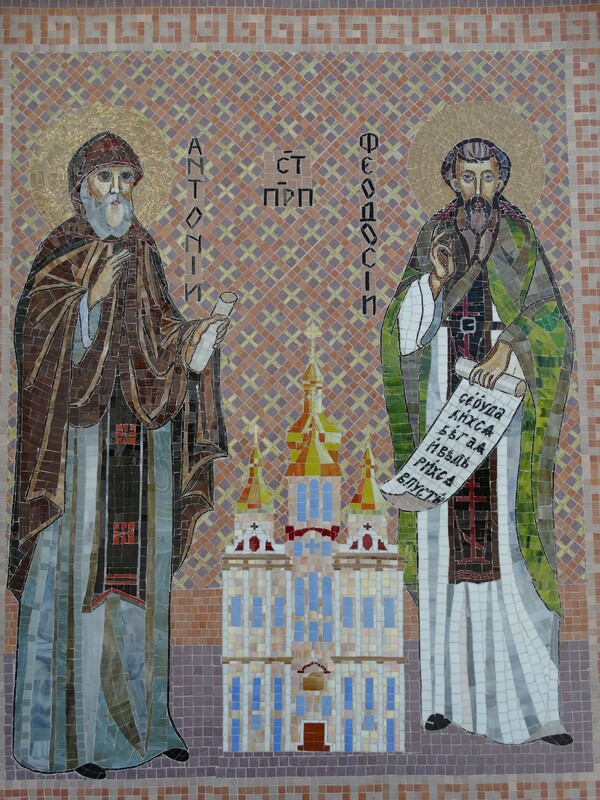 Historical materials preserved the names rector of the church — Nicholas Stefanovic Andrievskiy and Zechariah Efimovicha Savinskoye. 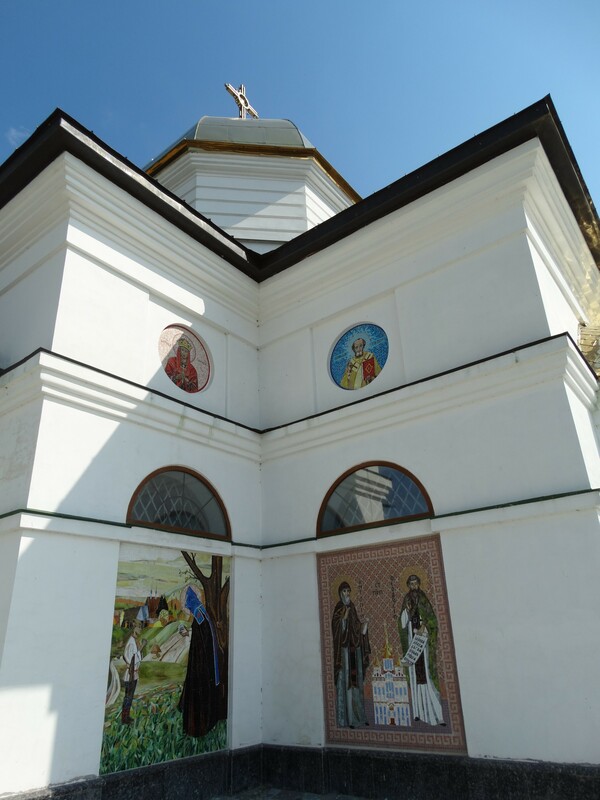 Villagers recall that in the early twentieth century monastic hermitage was Gusintsah. Monks on its own raised cattle, grew crops, planted many fruit trees, greenhouses had even grown watermelons. Was their own oil mill, sheller, steam mill. They went to thresh flour residents of neighboring villages. 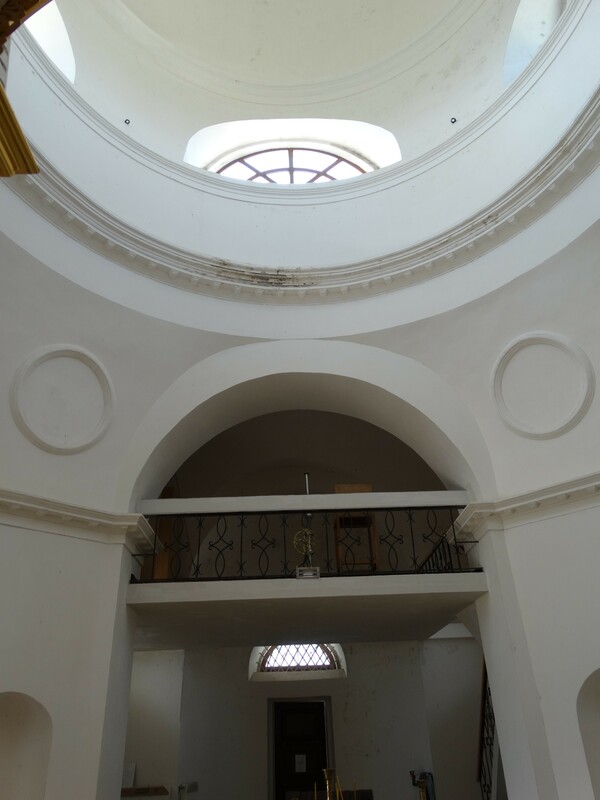 In one of the rooms of the monastery housed a hospital and food stalls. 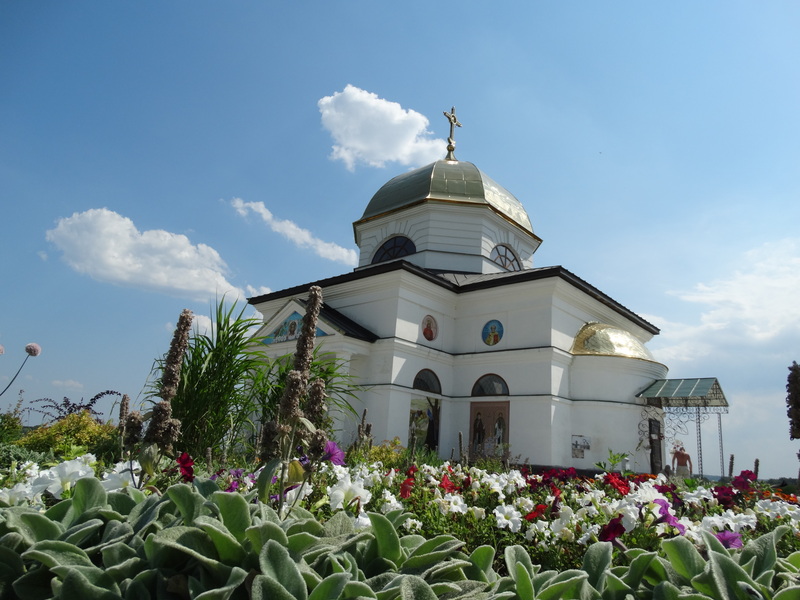 According to the monks of economic development should be the creation of decent life for every Orthodox Christian and the entire Ukrainian people. For the Christian, comprehensive and multi-faceted issues of business, economics, entrepreneurship are primarily a means of serving the Church of Christ, the neighbor and the ideal of social justice. 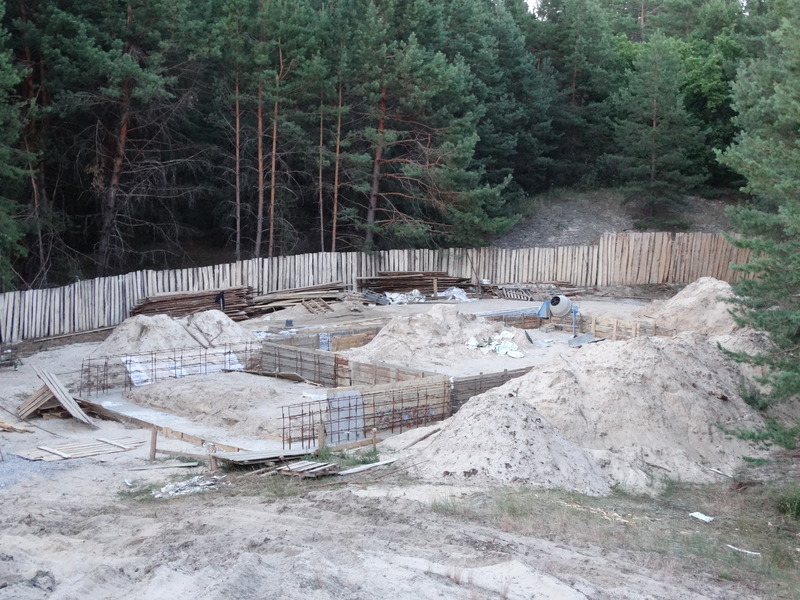 Such activities practice of monastic life has a long, deep history. 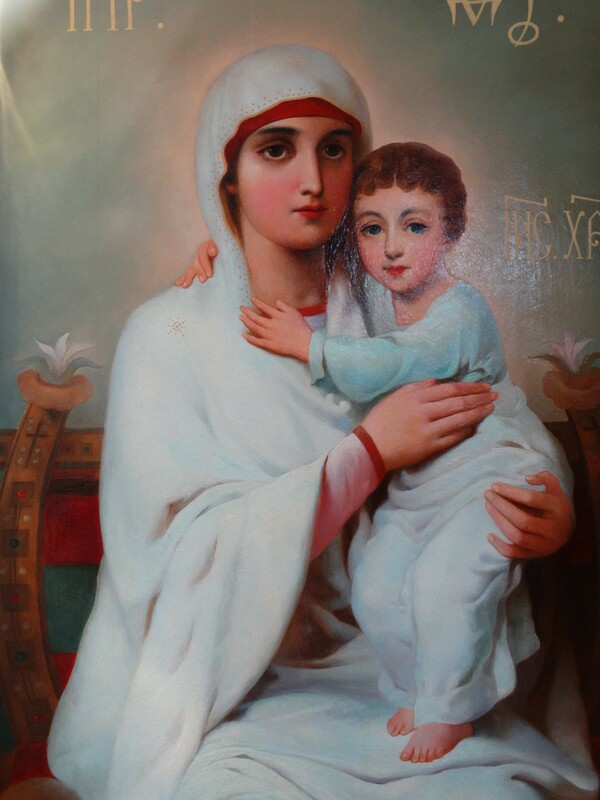 In the history of monasticism of the Orthodox Church has always been victorious and triumphant testimony of faith, hope and the hope of man on God. 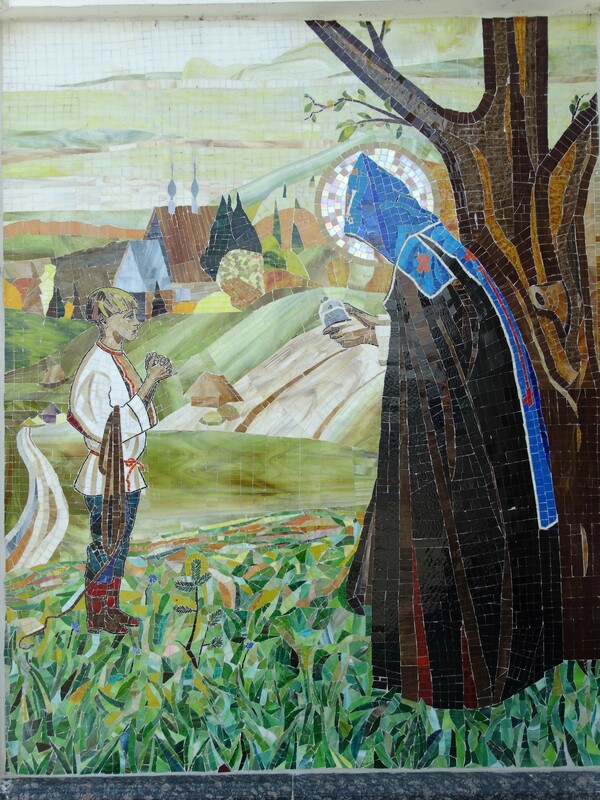 Feat monasticism — an amazing, powerful, unique, exciting, joyful and triumphant march to Christ. 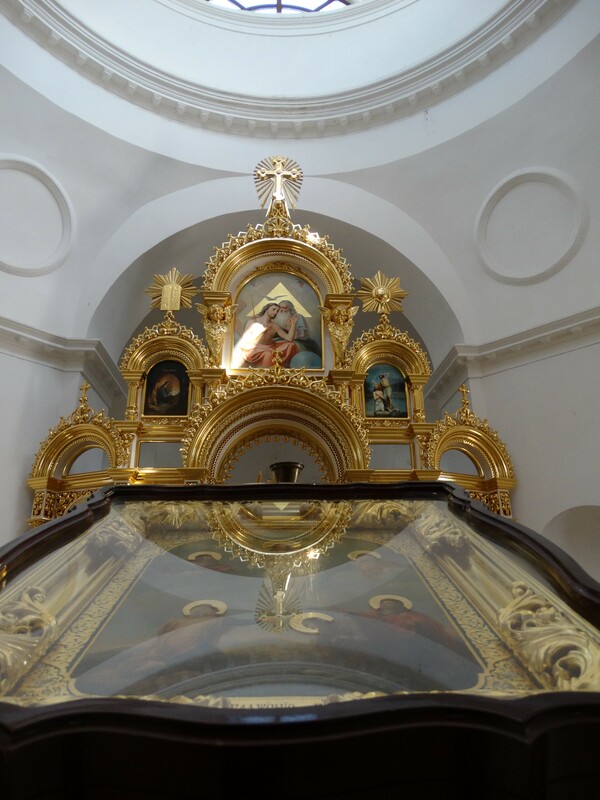 Desert of self-denial, sacrifice, devotion opens up the possibility of God’s will for every Christian to erect walls of the monastery of the Holy Spirit in his heart, protecting your mind, soul and the will to sin, sadness, sorrow, anguish and despair, reigning in the modern world. 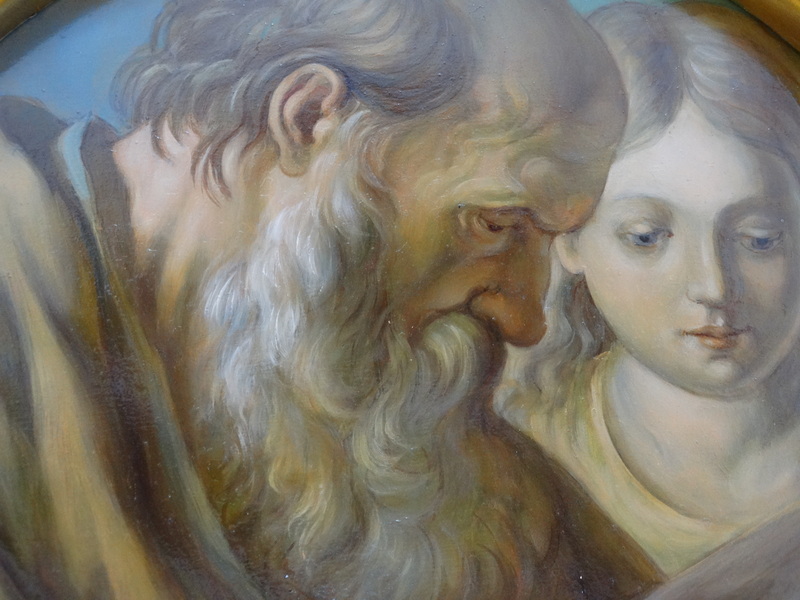 This is — a kind of monastic mission in the world, as a result of which the churching of peace and ideals wholehearted dedication to God penetrate human society. Hermitage in Gusintsah existed until 1919. 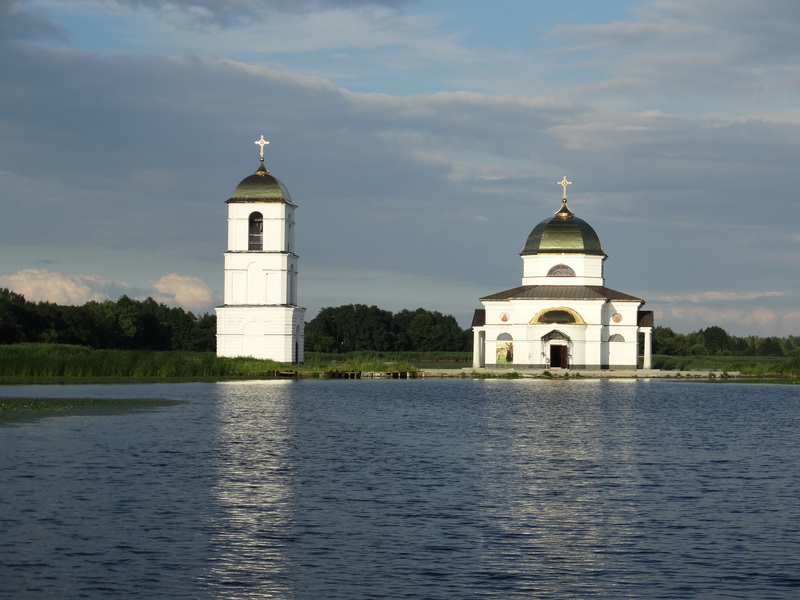 Monks left Gusintsy only after numerous raids gangs of bandits when innocently killed nine inhabitants. Scary times came to the temple, as well as for all the people of Holy Russia. 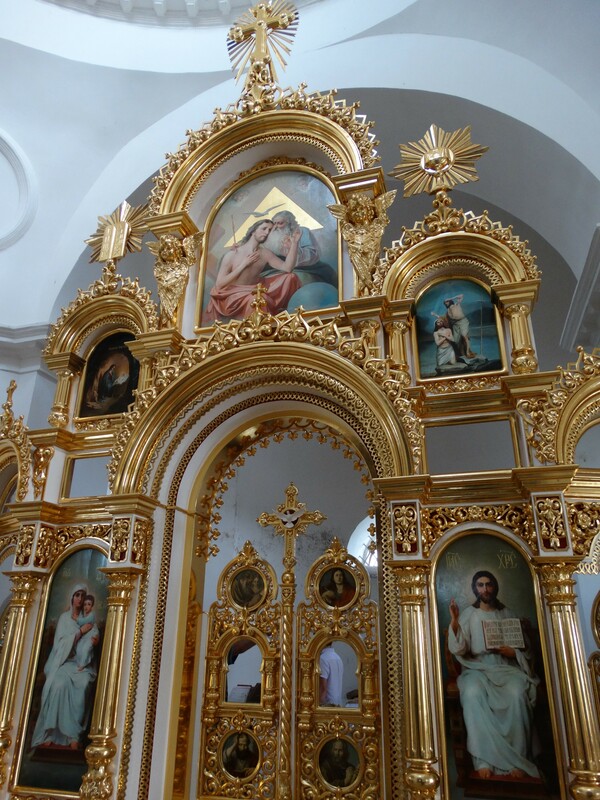 The Soviet government saw in the Church of Christ, one of the main enemies, and this hatred and fury, not only destroyed the temples, but also destroyed the clergy, tore the hearts of the faith of the Orthodox people with red-hot tongs militant atheism, atheism and contempt. 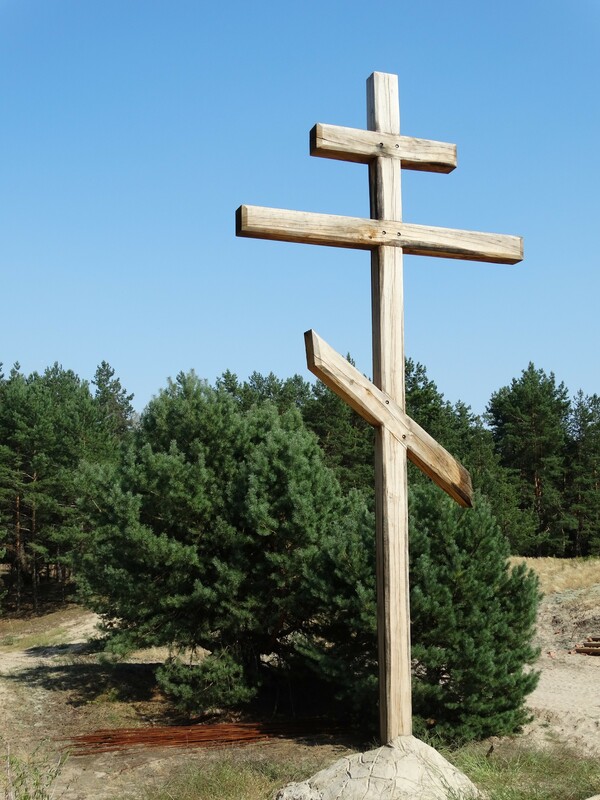 Godless persecution decades of the twentieth century, not only weakened the church body, but also the life of Ukrainian society. The unfortunate consequence of this tragic period of church history, we feel especially clear today, when we see how difficult it is committed not only to the revival of the stone walls of temples, but also souls of men’s hearts. 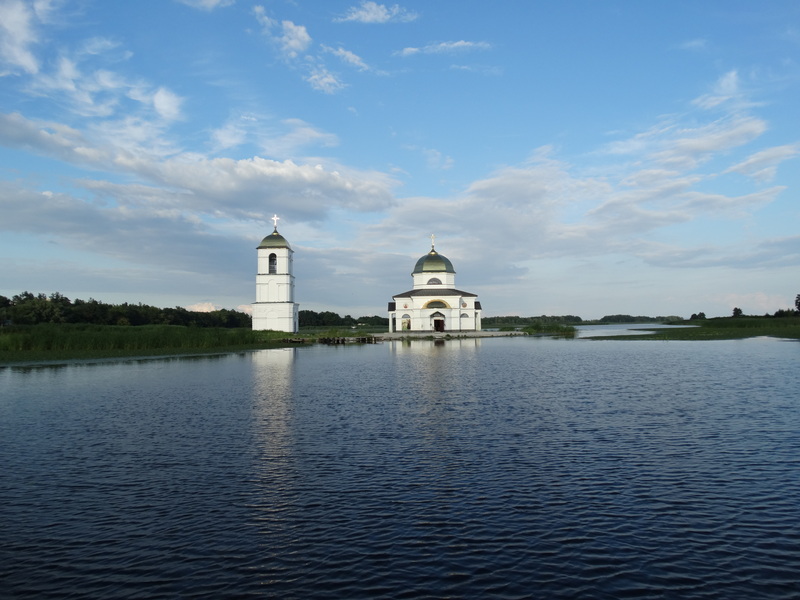 After flooding the village in 1969 to reach looted and abandoned temple was made possible only by boat, in the winter — walk on the ice. But despite the forces of evil, destruction and desecration, the temple continued to live his life in a mysterious God, being worshiped under a bushel. From the very history of the temple there was a lot of evidence, stories and memories. 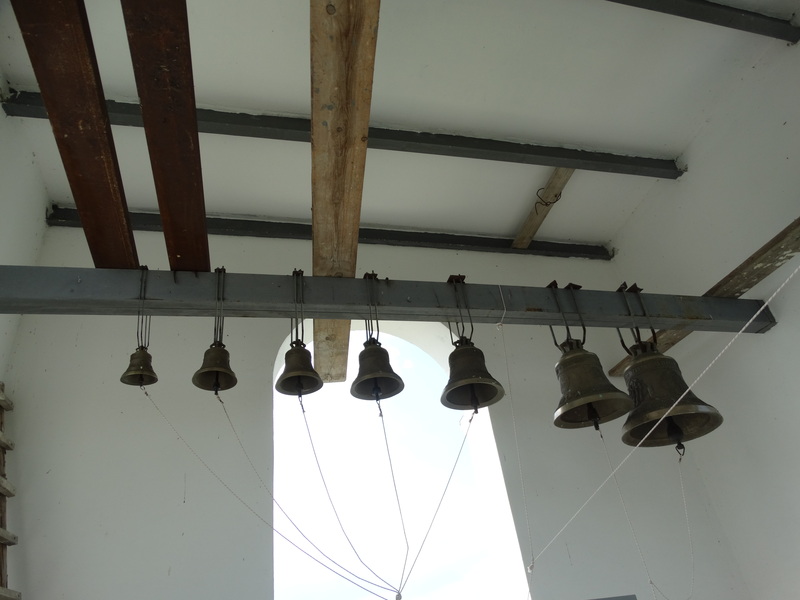 Some say that someone heard the call for holidays taken temple bells, and others say that they hear moans chopped monks desecration. 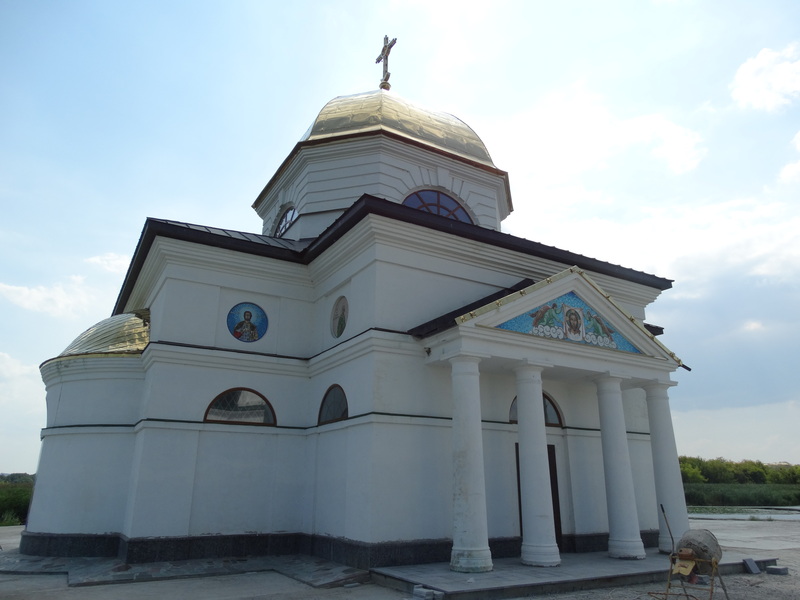 In 2001, the first step towards the revival of the temple was the restoration of the church service, organized by the well-known pastor of Christ’s Church Archpriest Mikhail Makeev. Despite the fact that the church is difficult to reach, each service within its walls collects residents of nearby villages. 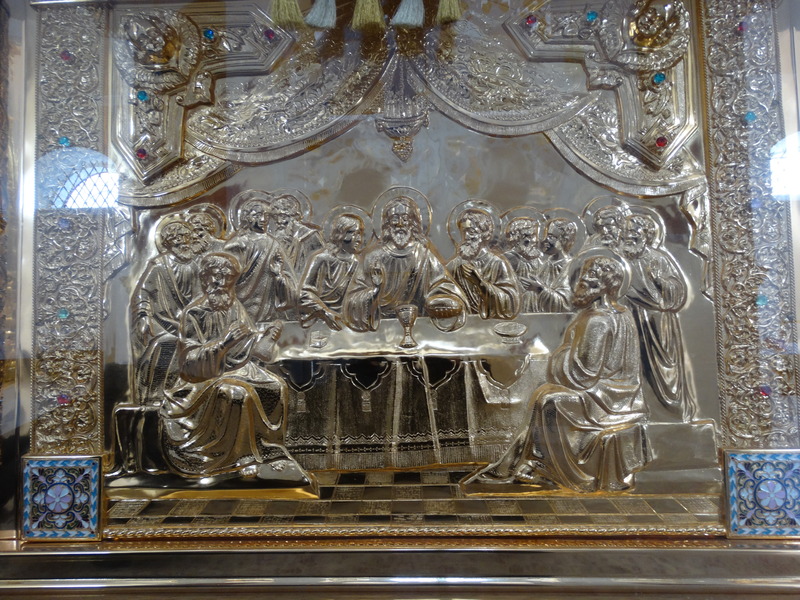 Especially joyful and triumphant life of the temple is the patronal feast of the Transfiguration of the Lord. 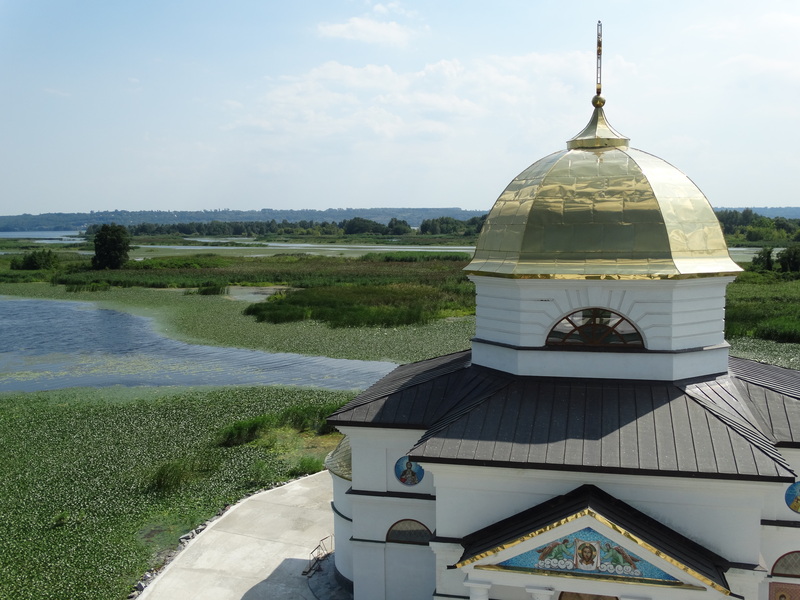 In 2008 was established and registered religious community Transfiguration Church Ukrainian Orthodox Church, which today collects historical, archival materials, decide on the restoration of the temple, builds communication and infrastructure of the temple. 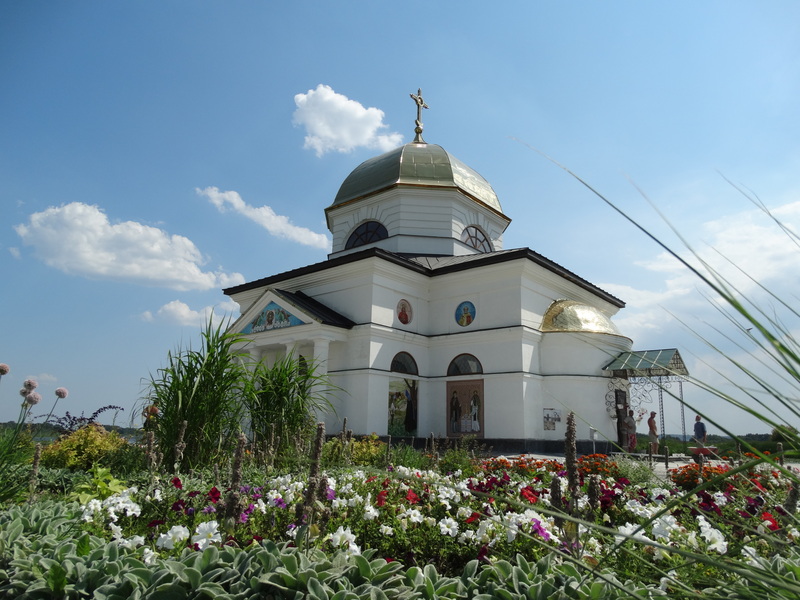 The church community has full support of the Kyiv Metropolis and Archimandrite Barlaam (Ozimka), the governor of St. Cyril monastery in Kiev. 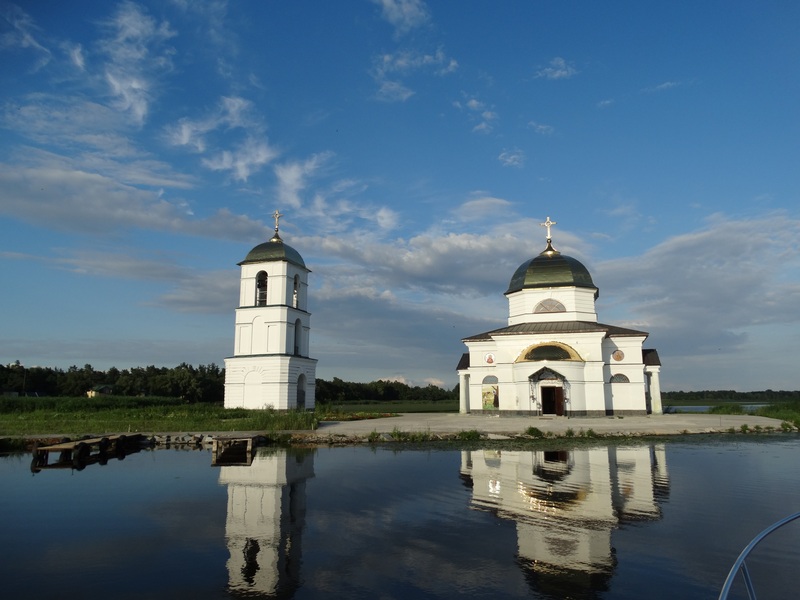 On the day segdnyashny temple revived through the efforts of his father Barlaam, whose work not only revived Transfiguration Church, but is getting better and multi-faceted life of the parish, settling the area around the temple. 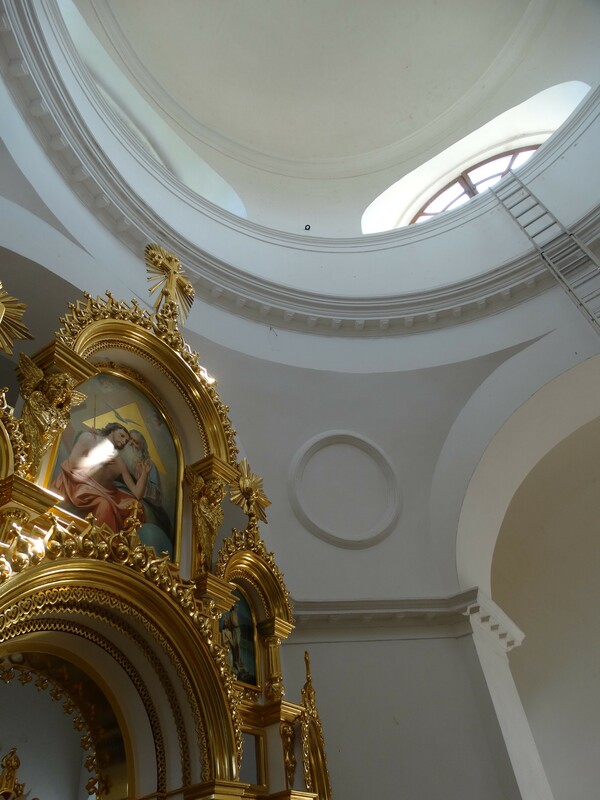 Prayer in the temple of God and practical concern for others in the world are in the life of Archimandrite Barlaam single, holistic model of Christian service to God and people. 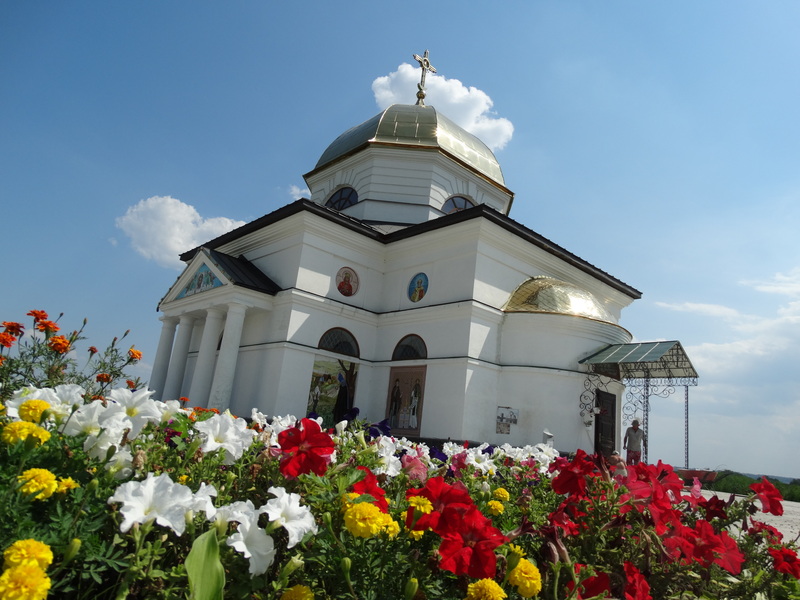 The power of the Orthodox faith, joy of communion with God Christian, according to the good shepherd, able to crush the forces of chaos, destruction, emptiness, to cope with any difficulties of life on earth and build a bright, full, rich, happy life based on the Gospel and the love of Orthodoxy. 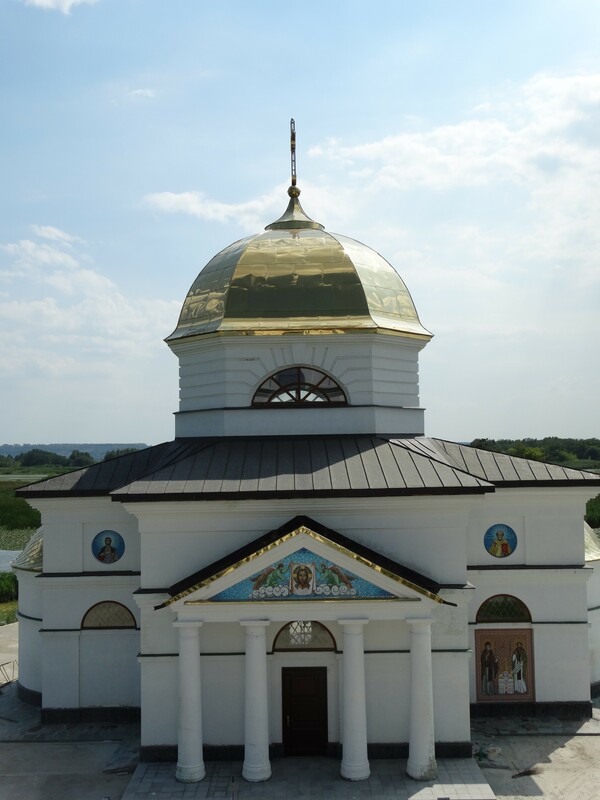 Effort father Barlaam, head of the parish council Yuri Tsekalenko, parishioner Denis Kostrozhevskogo, their associates, associates and assistants, spiritual and architectural treasure trove of Ukraine — the temple of our hearts, the temple on the water temple on the island of hope became available to the people and pilgrims from all over the world. 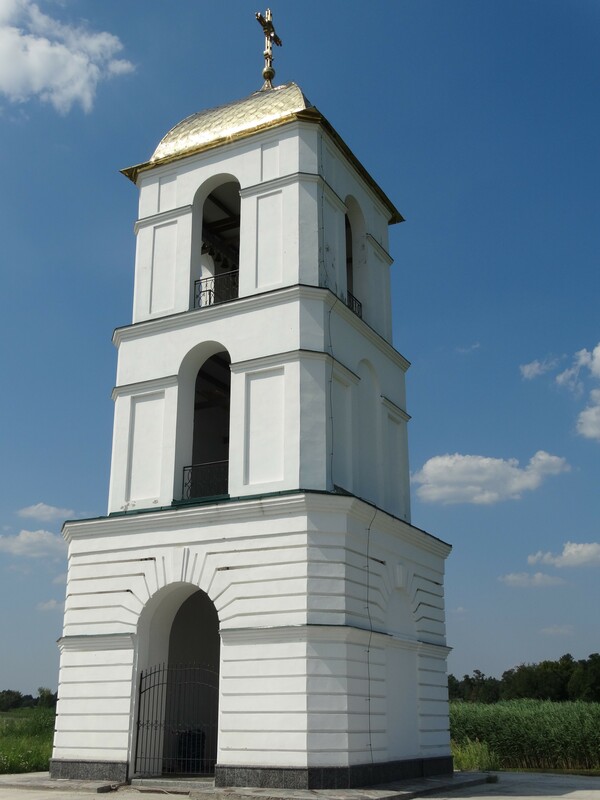 The revival of the church and bell tower Transfiguration Church today extends long bridge, which symbolizes our ascent to the Kingdom of God. The temple of God on earth eliminates any barrier between the gulf and the suffering, lonely, the lost, confused people and all-powerful, gracious God. 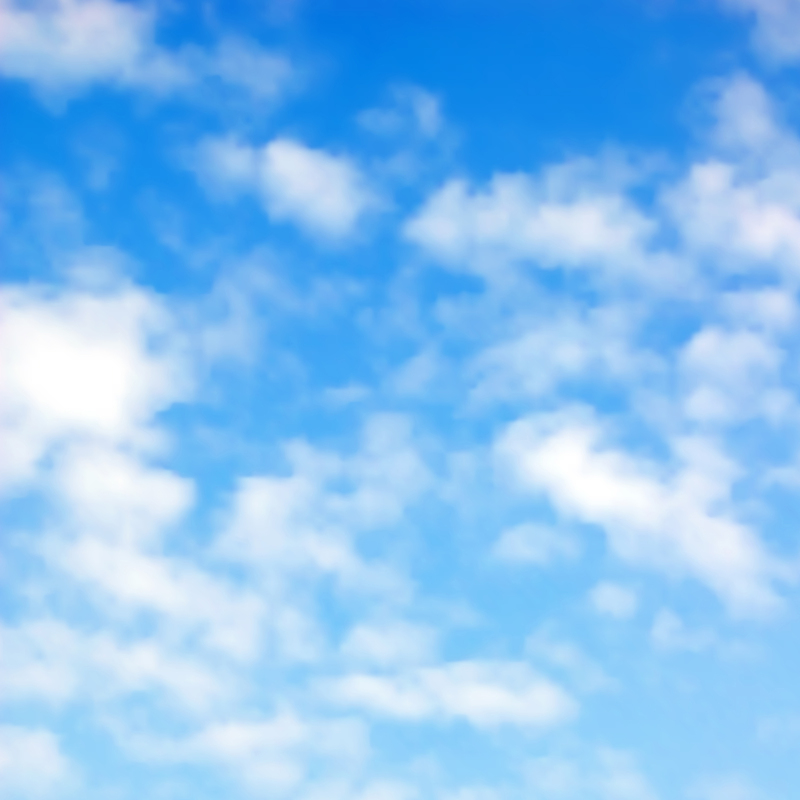 Henceforth Transfiguration Church is available to the people of God, to all: those in power and subordinates, rich and poor, healthy and sick, happy and sad — all thirsty Christ enlightenment, comfort, healing, healing and transformation. 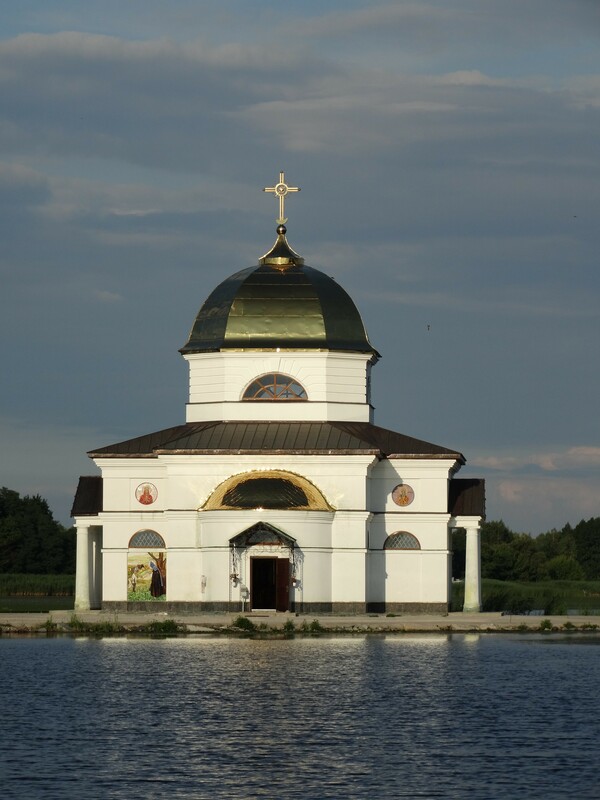 Through the efforts of the clergy and the patrons on the Dnieper again hear the ringer festive bells, chants and thanksgiving to God. On the way to the temple gaze spiritual pilgrims and locals scenic islands, endless expanse of water and dense thickets of fine pads. 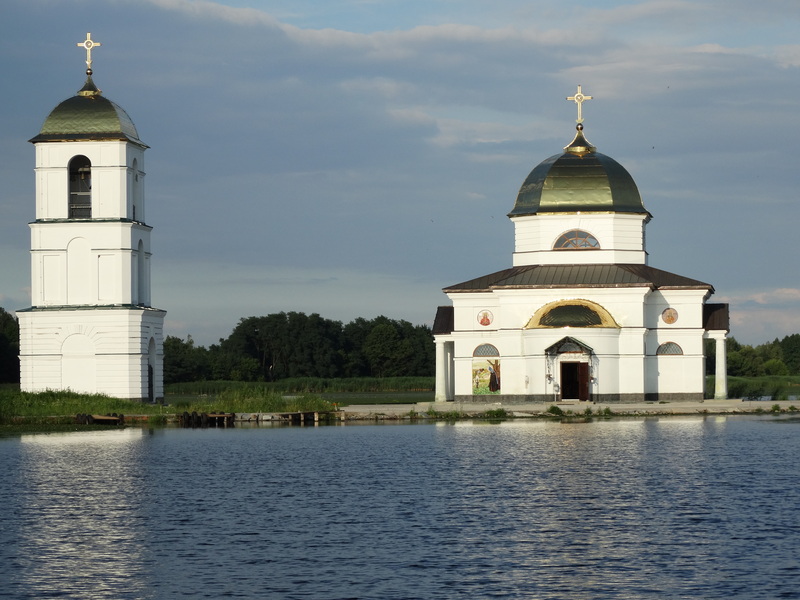 With sandy beaches, wooded, well visible building of the temple and the bell tower, located a few hundred meters from the shore among the water on the rocks. 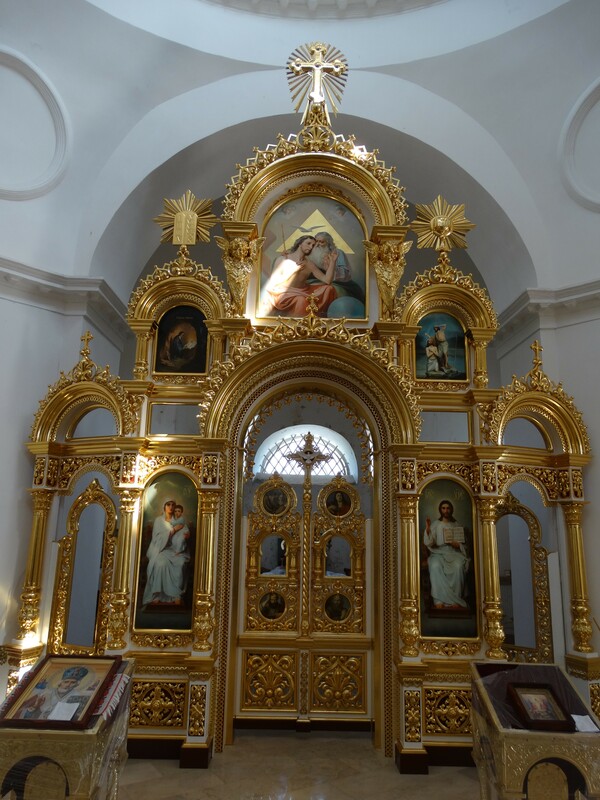 In the Transfiguration Church again prayers are offered to the Almighty God, the Creator of the world for the people of Holy Russia and the salvation of all mankind. 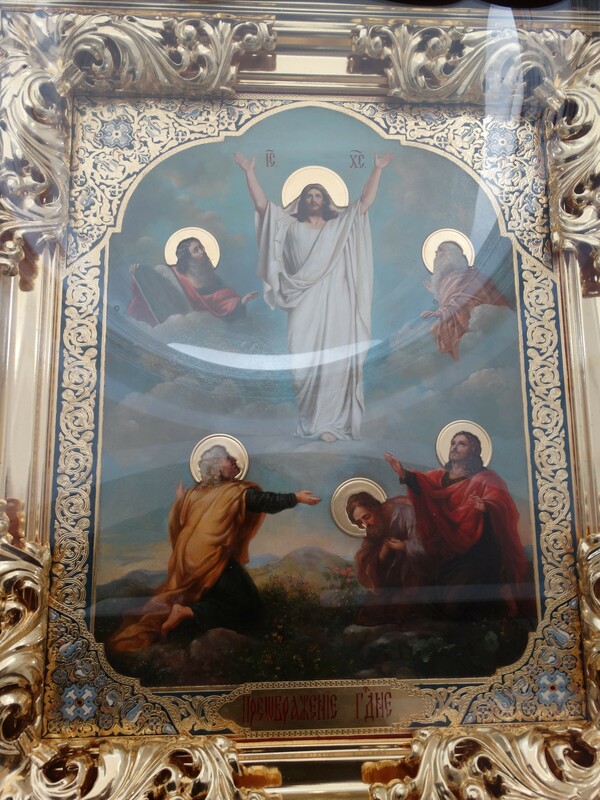 The Transfiguration of our Lord Jesus Christ on Mount Tabor Church and the memory of this salvific event — the key to all Christian theology of the Orthodox Church. The Creator of the world every day of our existence transforms his grace sanctifies space, time, events, everything that surrounds us. 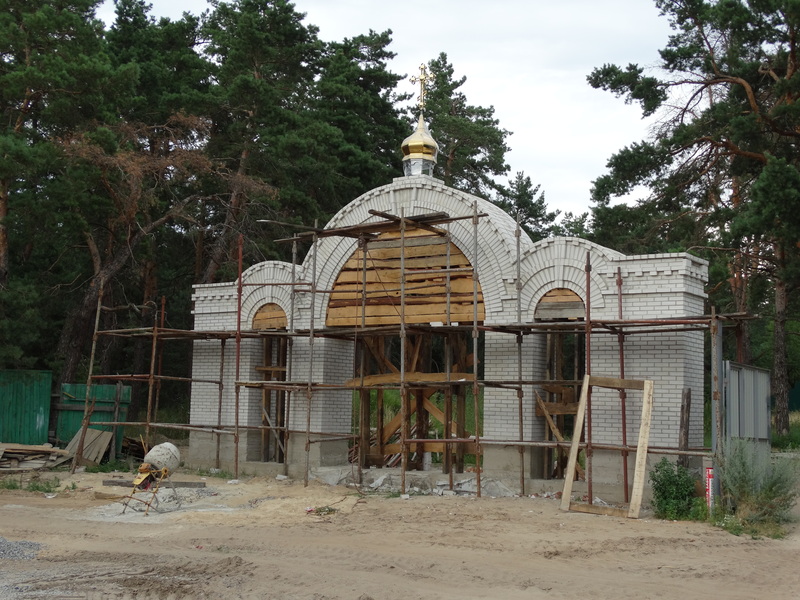 Concerns of donors, trustees, builders, restorers, painters and prayers of the Christian people there was a revival of the Orthodox pearls Kanevschiny — an abandoned shrine of our suffering homeland. 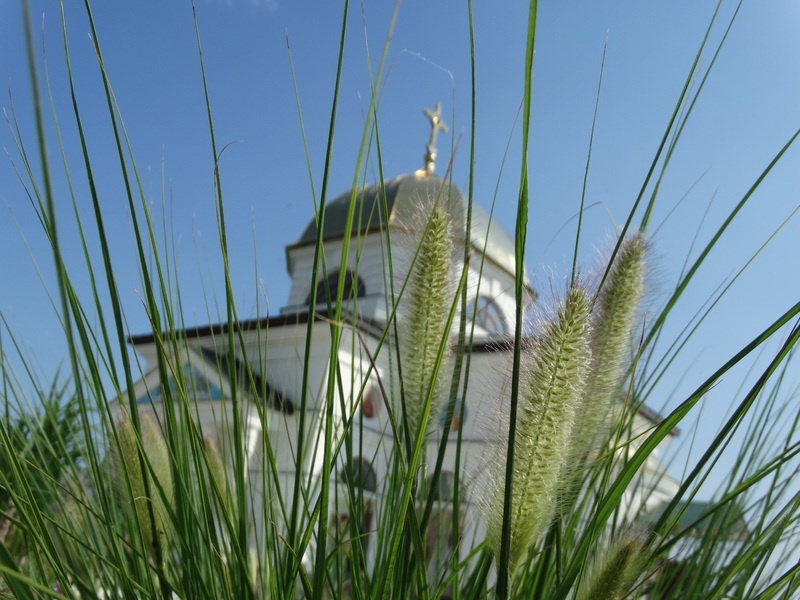 Temple martyr, confessor and the prophet reminds us of the eternal values ​​of life, faith in God and revival of our lives. 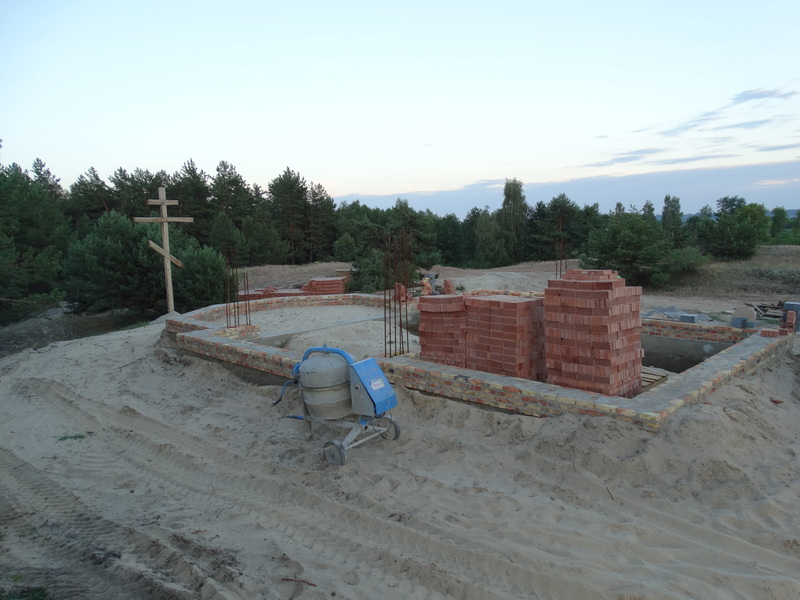 The future of the church in Gusintsah clergy and parishioners associated with the construction of the monastery in honor of St. Nicholas, in the designated Borispol district administration of 11 acres of land near the church. In the monastic cloister always burning lamps of faith, grace, the power of God and spirituality in the Holy Spirit, the Lord heard the prayers of the entire universe and about the individual. 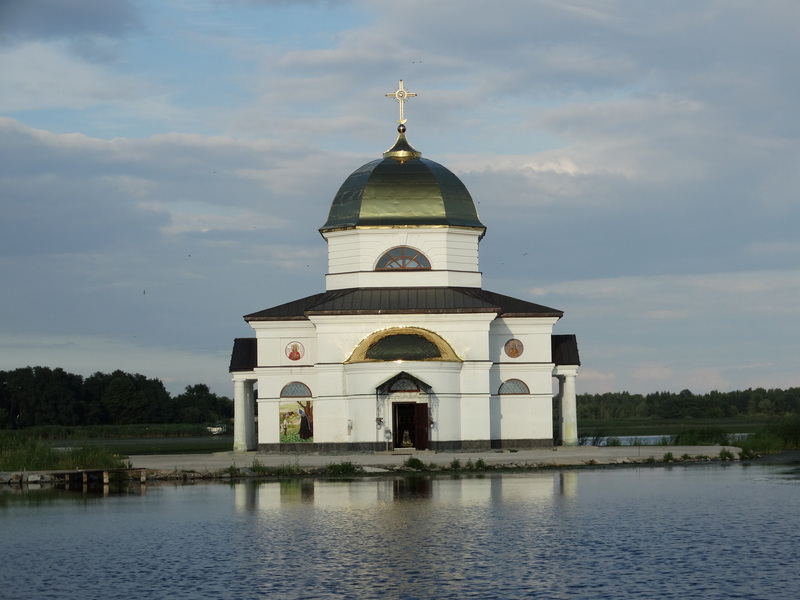 Transfiguration Church on the water in the village Gusintsy not only symbolizes the ark of salvation in the raging waters of the everyday, but also combines the heavenly and earthly beauty. 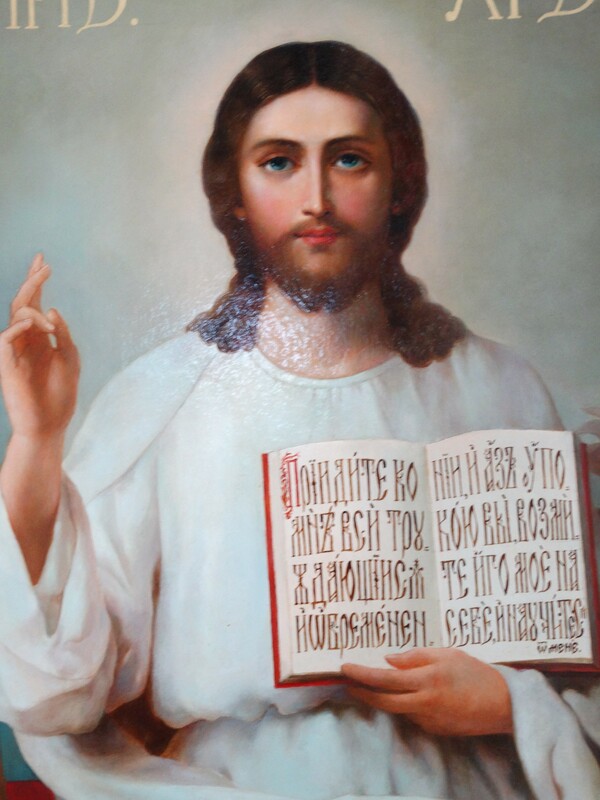 He embodies the idea of ​​burning hearts by faith in Christ, the human soul soaring up to heaven, purity of thought and beauty of the Divine Truth. 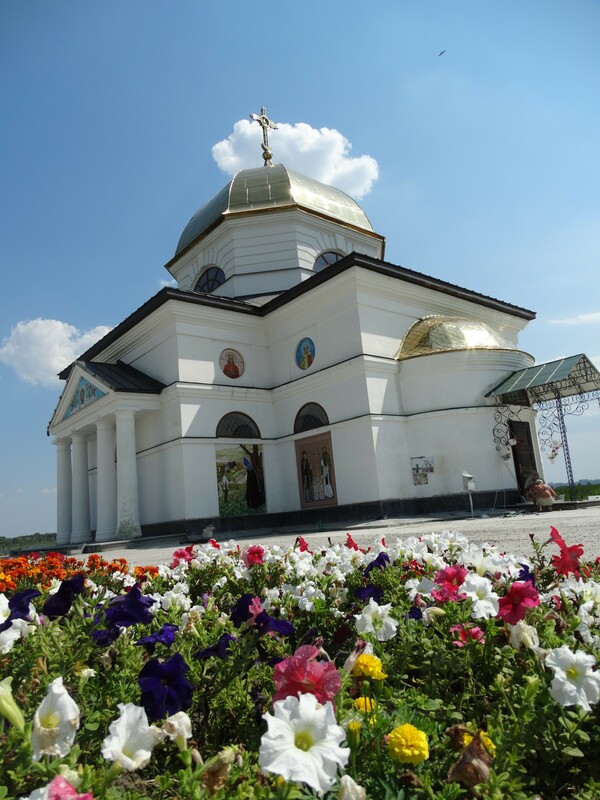 Transfiguration Church is built by people who are aware of what they do in the face of the Supreme Lord, in His name and with love for Him. 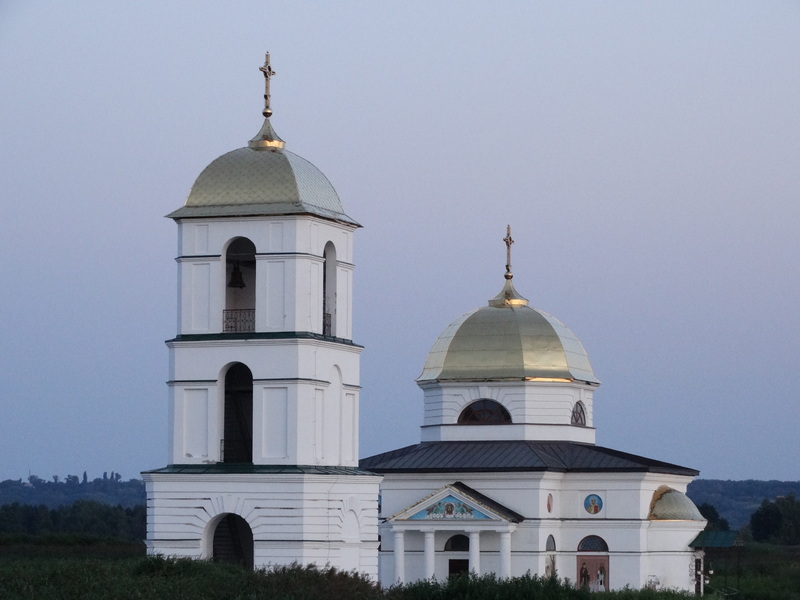 Temple in Gusintsah — a dawn in the darkness of our being, problems, despair, disbelief, conflict and upheaval. 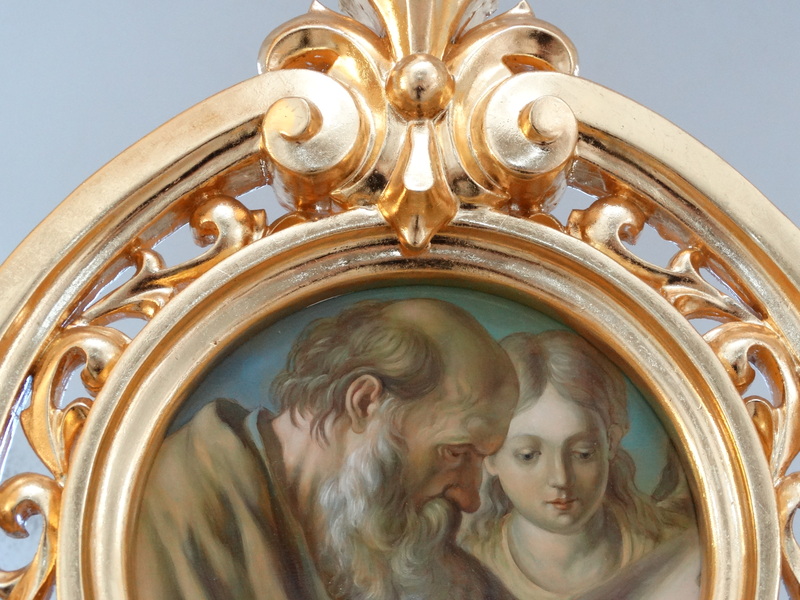 Contemplating the temple, unwittingly want to turn to God in prayer that He would by His power, authority and love has transformed the lives of our loved ones, relatives and all of the Fatherland. 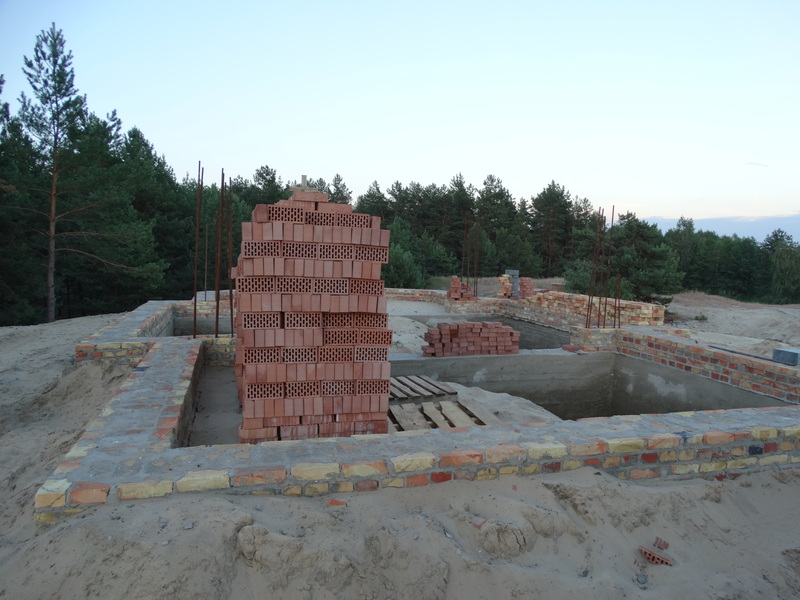 Update temple in Gusintsah is a light of Christ’s love, sacrifice apostolic optimistic apocalyptic times of the third millennium.